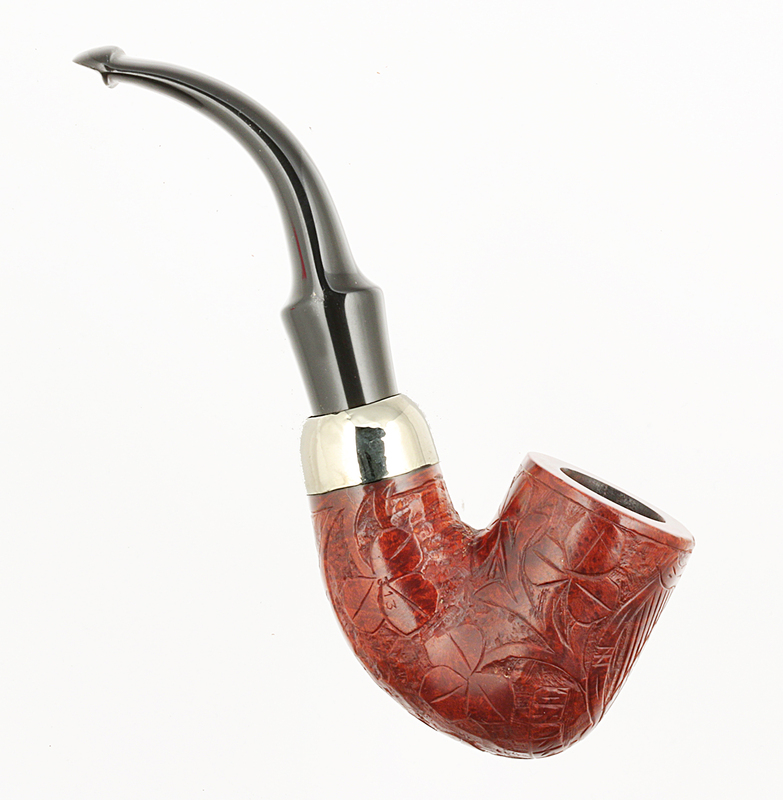 The Irish Emblems Systems pipes were available from the get-go, or at least from the 1896 catalog onward, until sometime shortly after WWII. Paddy Larrigan told me at the factory that there was still a gentleman who carved these for K&P during the 1950s, after which the practice seems to have fallen by the way. 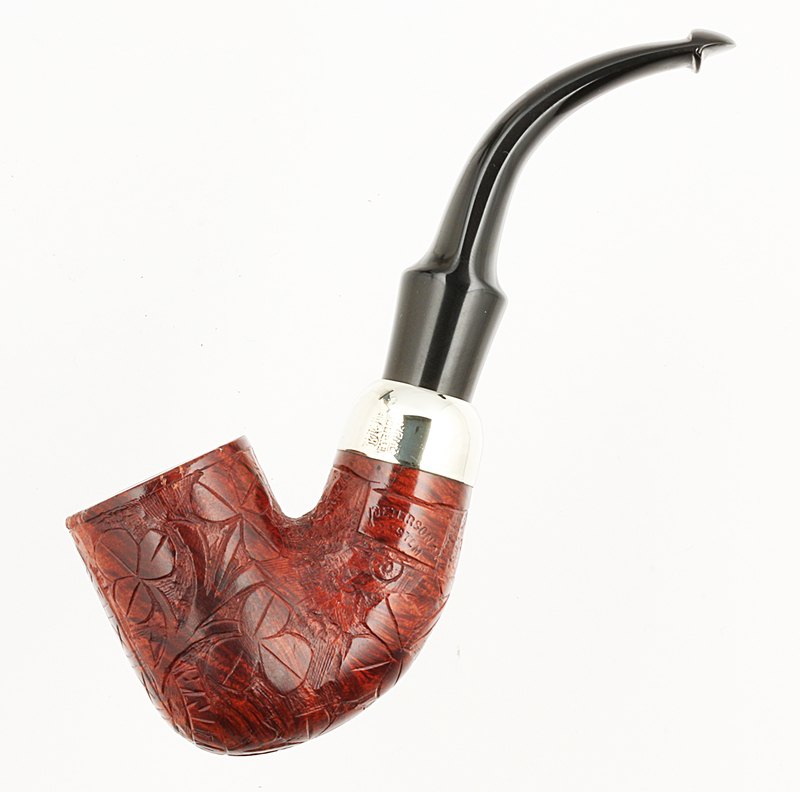 K&P Irish Emblems pipes are few and far between on the estate market, and of course their story will be told in The Peterson Pipe: The Story of Kapp & Peterson. But this little fellow, whose portrait may reside in the encyclopedia chapter, just couldn’t wait until then, so here he is. He’s got a silver-soldered ferrule with the classic K&P in shields over PETERSON over SYSTEM, and is stamped 3 in a circle. Given all the carving, there is, unsurprisingly, there is no COM stamp. The carving style is different from the earliest shamrocks seen in the 1896 and 1906 catalog Irish Emblems and lacks the pebble-texturing of those pipes, so that it seems reasonable to suppose he was carved sometime later. The silver soldered mount indicates a pre-1961 date, so my best guess would be the first decade of the Early Republic Era, 1948-1958. Crossmolina’s own story goes back, like most things in Ireland, a little further. In the 6th century, St. Tiernan established an abbey nearby that is said to have housed upwards of 1,400 students from all over Europe. 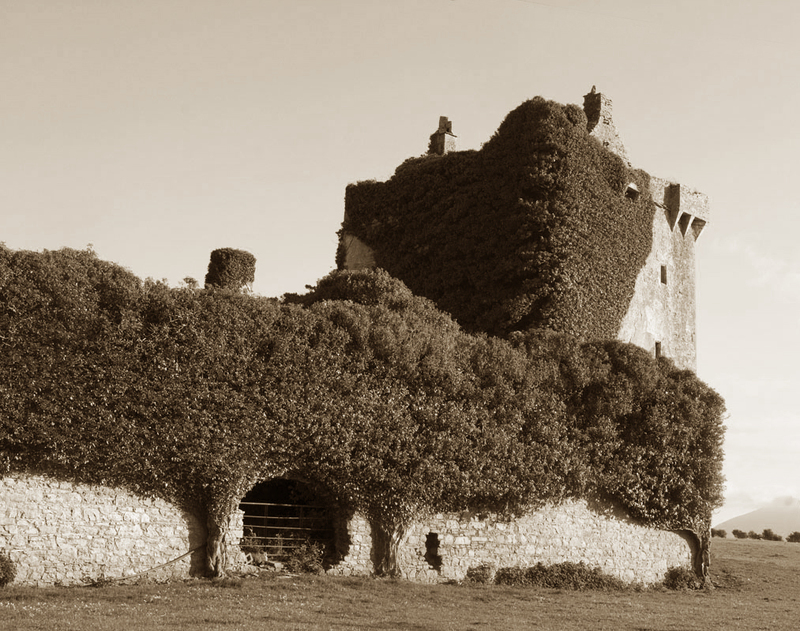 With the Wild Atlantic Way nearby, and a pleasant walk up the River Deel to see the ruins of Castle Gore and Deel Castle (pictured above), you could make a good day of sight-seeing and enjoy a few pints of the Reel Deel Brewing Co.’s craft beers and local music on your return. How this little 313 made it from Crossmolina to Tyler, Texas is another untold story. But for now, at least, he’s found a good home at the Peterson book’s indexer, and will likely remain there for awhile. *Connacht was, incidentally, where the youthful K&P won one of their several patent medals in the early days. I always look forward to your every post! Thanks, Tom. Happy New Year! 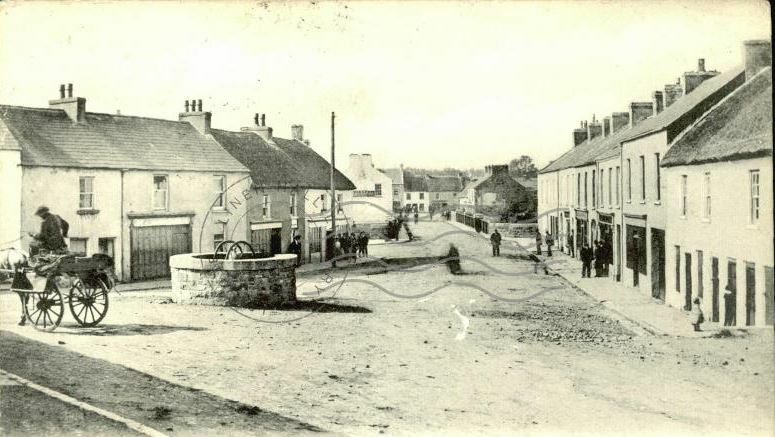 I have been in Ballina Co. Mayo once in the mid 90ties. with K&P painted on it, it was like a museum. Sounds like a bit of heaven to me! Happy New Year, Jorgen! 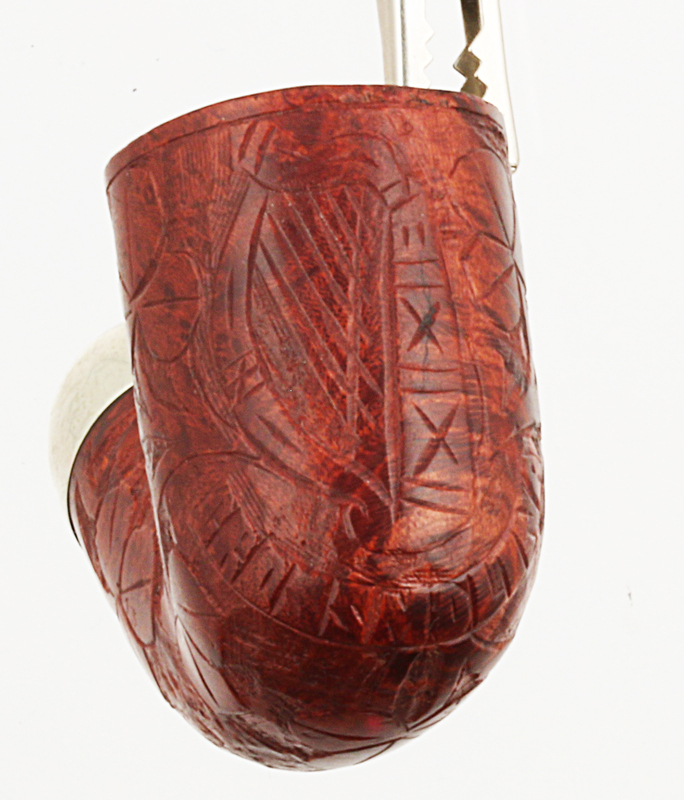 I was not familiar with the Irish Emblems pipes and look forward to reading more about them in the book. I know you can’t keep every pipe used in the book, but that one looks like it would be tops of the list. I’ve never seen an emblem pipe before, certainly not in six year of watching ebay auctions. This one is in the capable hands of our indexer. It’s a bit smallish for me to smoke very much, but perfect for her. Merry Christmas (on its sixth day), and happy New Year, Mark! I always enjoy your posts! Thanks, Bryan! Happy New Year to you as well! I have one of those, a large apple with many shamrocks and three stamps on smooth areas. Irish hand carved. James J. Fox Dublin London. Made in Dublin Ireland. I just like to have it. Jorgen, love to see photos of your Irish Emblems – James Fox Peterson! Yes, I can tell you about the Bradley Bldgs factory in the book. You have a VERY rare catalog there–the 1937. I would love to see that price list. Even more fascinating stuff here – thank you Mark! There is an history here that is ever new to many of us! We look forward to the new year – and of course THE BOOK!